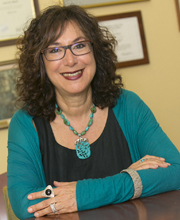 Lina M. Obeid is Professor of Medicine and Dean for Research at Renaissance School of Medicine at Stony Brook University. Dr. Obeid, a physician-scientist and biomedical researcher, oversees the Office of Scientific Affairs (OSA), the research infrastructure supporting Stony Brook Medicine scientists engaged in biomedical discovery. Dr. Obeid’s personal professional focus is Geriatric Medicine and Biomedical research. She earned her MD degree with distinction at the American University in Beirut and completed her internship and residency in Internal Medicine at Duke University, followed by a fellowship in Endocrinology and Geriatrics. She holds numerous National Institutes of Health (NIH) grants, and was Principal Investigator for a $11.7 million core grant from the Center for Biological Research Excellence (COBRE) for lipid signaling. Her research is concentrated on bioactive lipid signaling in cancer biology. I was always interested in science, especially how things worked at the molecular level. As an undergraduate, I loved organic chemistry, and chose that as my major. My undergraduate research in that subject led to my interest in biochemistry, and eventually biomedical sciences. After medical school, residency in Medicine, and fellowships in Endocrinology and Geriatrics, I gravitated back to basic research. My goal was to understand molecular mechanisms of cellular senescence and cell aging. It became evident that these molecular mechanisms by which cells escape senescence and grow indefinitely were involved in cancer. The biology of cancer, and mechanisms of cell growth and cell death, have become the focus of my research career. Our interest is in bioactive sphingolipids—a class of lipids originally named for the mythical sphinx, because they were a riddle—and their role in regulating cancer cell growth and cell death. Stony Brook University has a great reputation for superb science, whether in the physical, mathematical, or biomedical realm. Modern biomedical research has to rely on other disciplines to understand the massive amounts of data and information we can now generate in high-throughput studies. It is an exciting environment, with growing programs in several important strategic areas, including cancer. While other institutions are slowing or halting growth due to challenging financial times, Stony Brook’s mission within the NYSUNY 2020 plan allows us to continue to grow at a reasonable rate during the most exciting time ever in biomedical research. 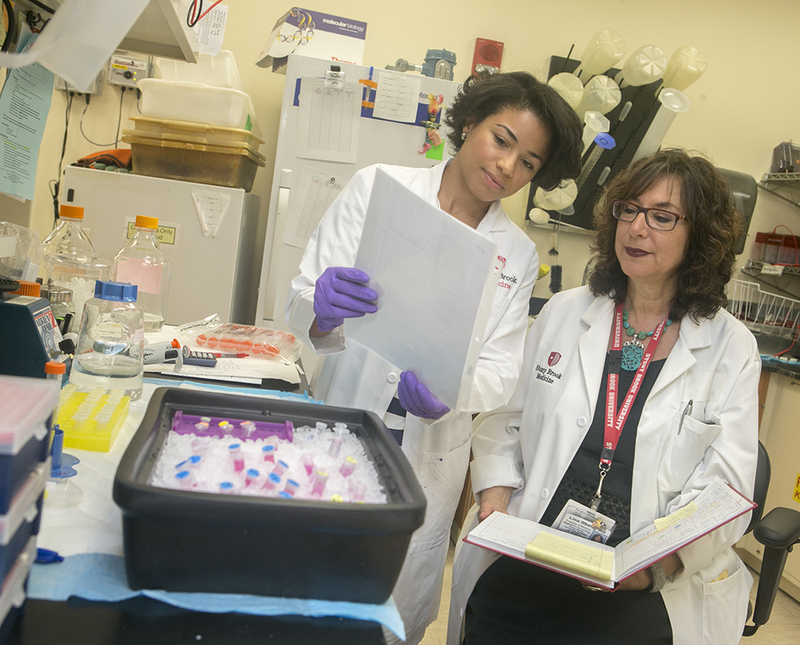 As Dean for Research, the most rewarding work I do is to help facilitate research growth—whether through improving our infrastructure, investing in targeted research opportunities, or mentoring students, post docs, and faculty. As a principle investigator in my lab, the most rewarding aspect of my job is the excitement of the discovery—and the twinkle in the eyes of my students or postdocs when they make a discovery. I would really like to understand how bioactive sphingolipids regulate cancer, and develop novel cancer chemotherapeutics that target these pathways. Technology is advancing and getting more sophisticated. Technological advances such as imaging and mass spectroscopy are critical for understanding molecular mechanisms of disease. In addition, the explosion of available data can allow us to work productively “in silico” to make advances in biomedical research, and then validate these discoveries in the laboratory and hopefully in the clinic. We should make biomedical sciences our investment priority. Research is the driver of disease prevention and cure. I would say it is my persistence, and my insistent nature. If I believe in something I will pursue it single-mindedly, and urge on others to work toward that objective, until it is accomplished.